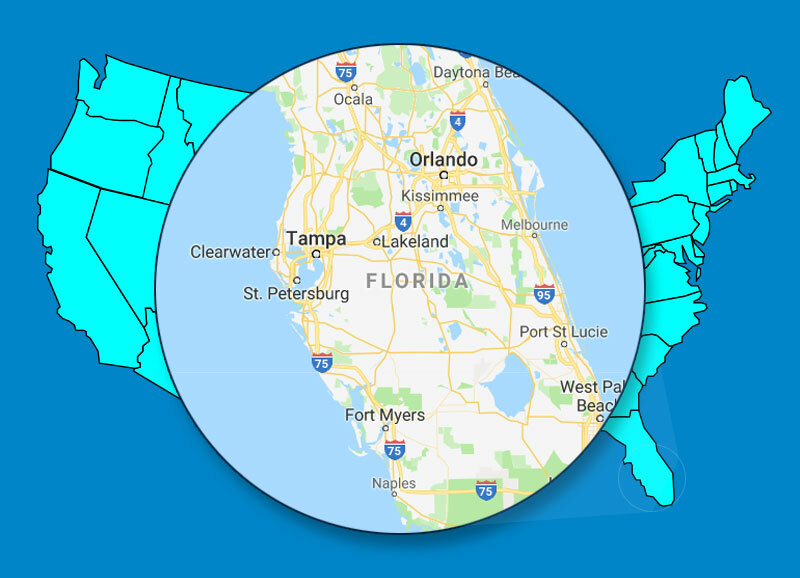 With over 15 years experience serving beautiful Florida, Precision Vapor Barriers is your one stop shop for all your under home solutions. By identifying and fixing issues that arise Precision Vapor Barriers can improve air quality inside your home and save you money. Don't gamble on a "fly by night" company, stick with a trusted industry leader! Why a New Vapor Barrier? A new vapor barrier installed by Precision Vapor Barriers fights pests, improves your homes air quality and saves you money. Precision Vapor Barriers is trusted widely in our field, let Precision Vapor Barriers earn your trust today! In Florida’s humid environment it is important to have a well sealed and insulated vapor barrier. Precision Vapor Barriers provides free* under home inspections and estimates. 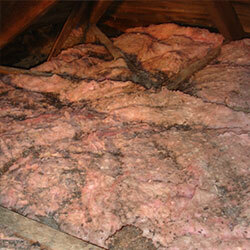 These inspections search for damaged vapor barriers and fallen insulation under your mobile or manufactured home. By identifying then fixing issues that arise, Precision Vapor Barriers can improve air quality inside your home, fight pest infestations and drastically help you save on energy costs. During your free* under home inspection our team at Precision Vapor barriers will also inspect any hard to find air ducts that may be located under your home. 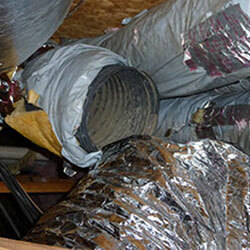 Old or torn air ducts can cause a massive decrease in your homes efficiency. 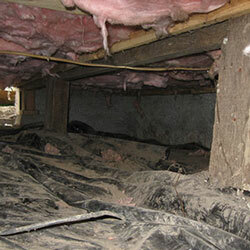 Torn air ducts can also cause irritating, unnecessary and expensive damage to your homes heating or cooling systems. If left unchecked, you may be throwing money down the drain. Call Precision Vapor Barriers and let our team inspect for damaged air ducts and guide you on how best to fix the problem before more inconvenient and costly issues arise. 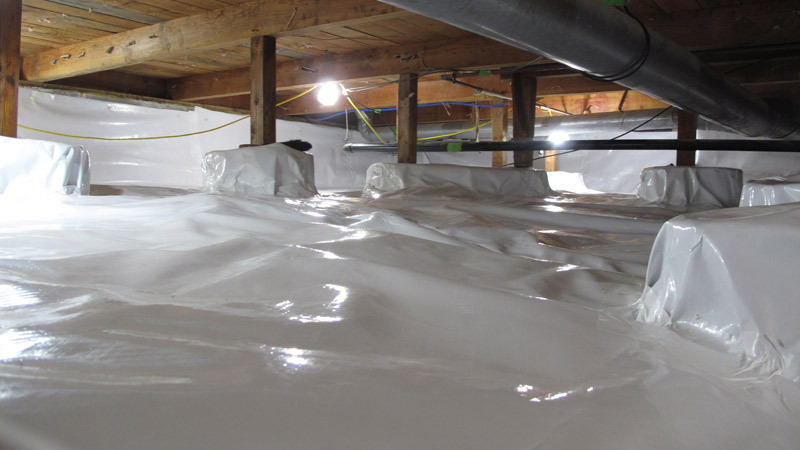 A crawl space vapor barrier system, accompanied by insulation replacement/repair and an air duct inspection by Precision Vapor Barriers; eliminates crawl space moisture. This in turn fights the growth of hazardous molds. By eliminating moisture, a new vapor barrier also protects the structural integrity of your homes floors. Helping to reduce damage and soft spots that can be caused by that moisture. A new vapor barrier used in conjunction with new insulation, will protect your home and can save you money on monthly energy costs. As our Precision Vapor Barrier professional inspects your home, he/she will also be inspecting your mobile or manufactured homes anchoring system. Due to the large number of storms that roll though our beautiful state, checking anchors and straping is always a good idea. Our team at Precision Vapor Barriers is licensed and equipped to maintain, install or replace any anchor or hurricane strapping… helping to ensuring your home stays where you last left it. Let a new vapor barrier installed by our team at Precision Vapor Barriers protect the underside of your mobile or manufactured home. Give us a call for a free* estimate and allow the Precision Vapor Barriers team to remove and replace fallen insulation and install a new vapor barrier. We are so sure of the quality of our work and products that we include a 20 year transferable warranty.